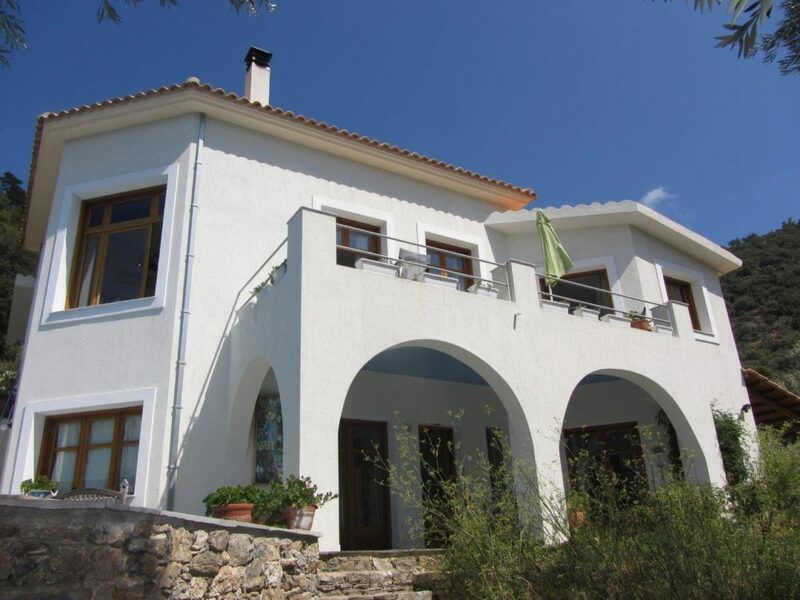 Exceptional new villa 2-storeys (built in 2007, it was inhabited in 2009), of a total surface of 200 sq. 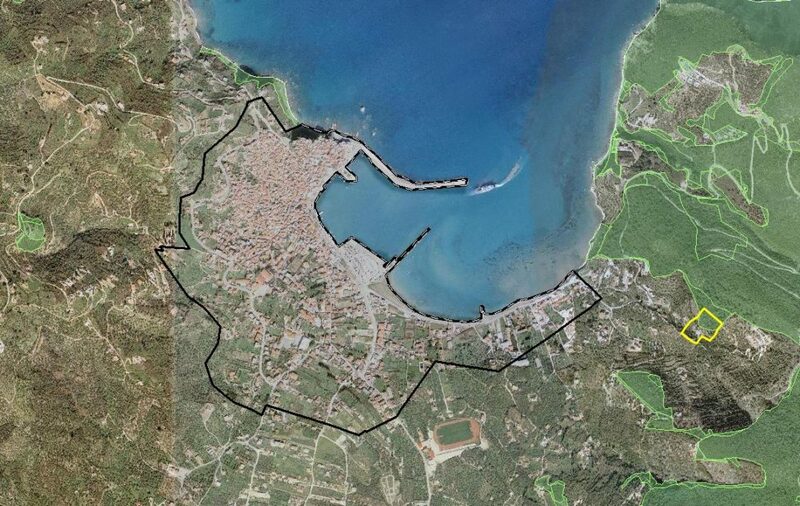 It stands on a land of 10200 sq. 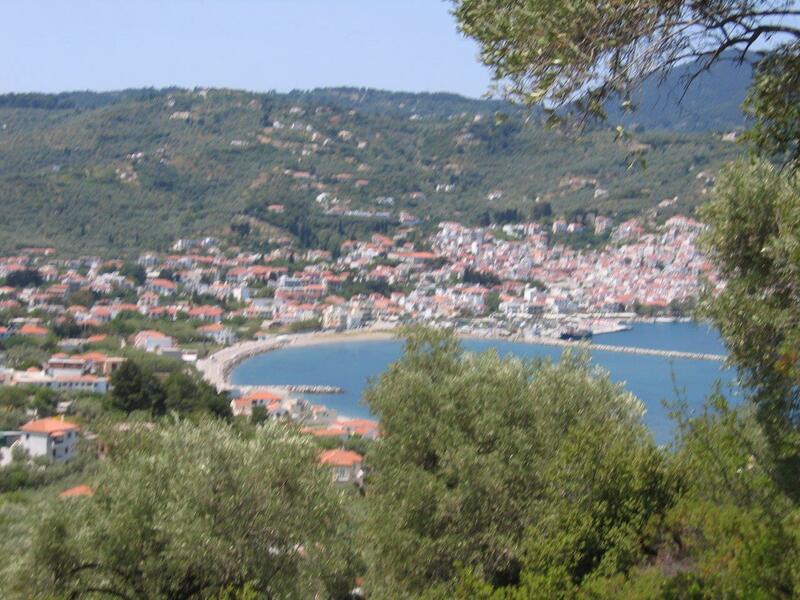 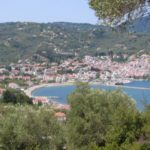 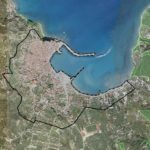 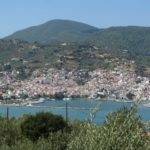 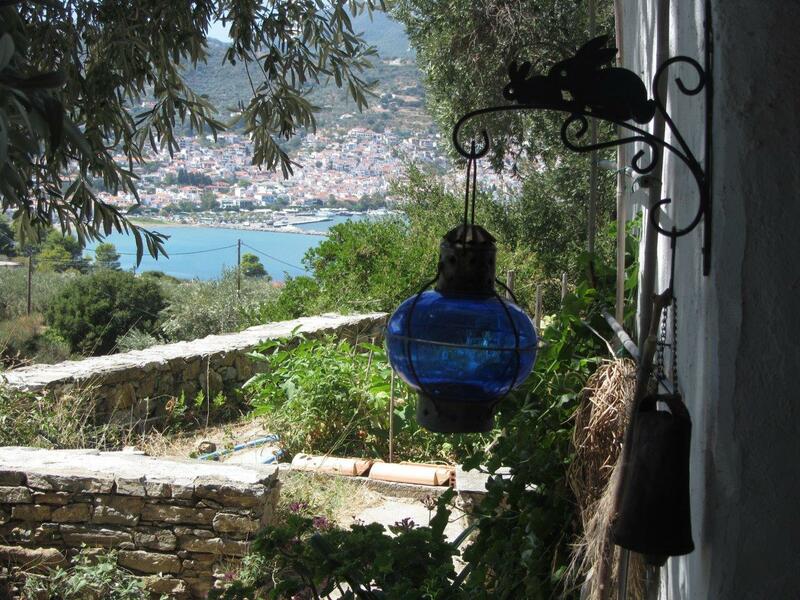 in the area of KARAVOTSAKISMA of the wider municiality of Skopelos. 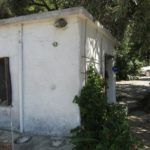 In the same land there is a small traditional house (kalivi), which is used as an independent flat. 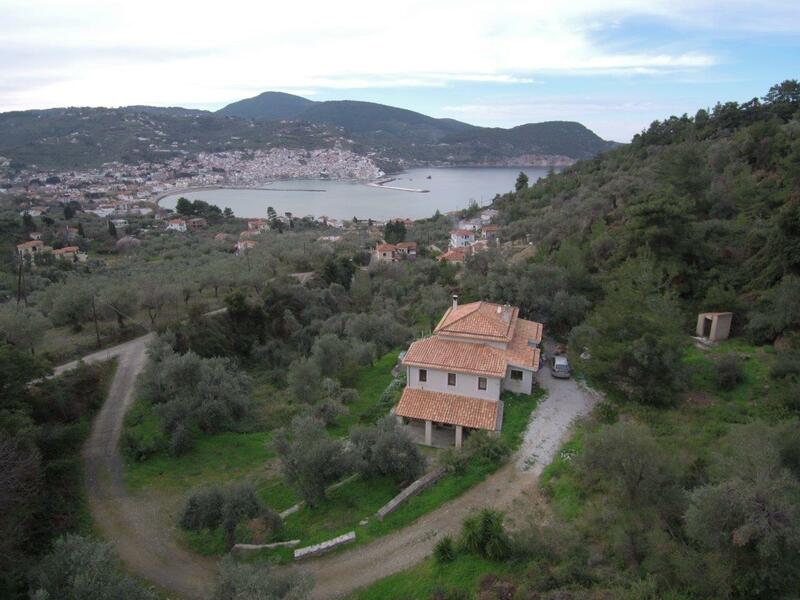 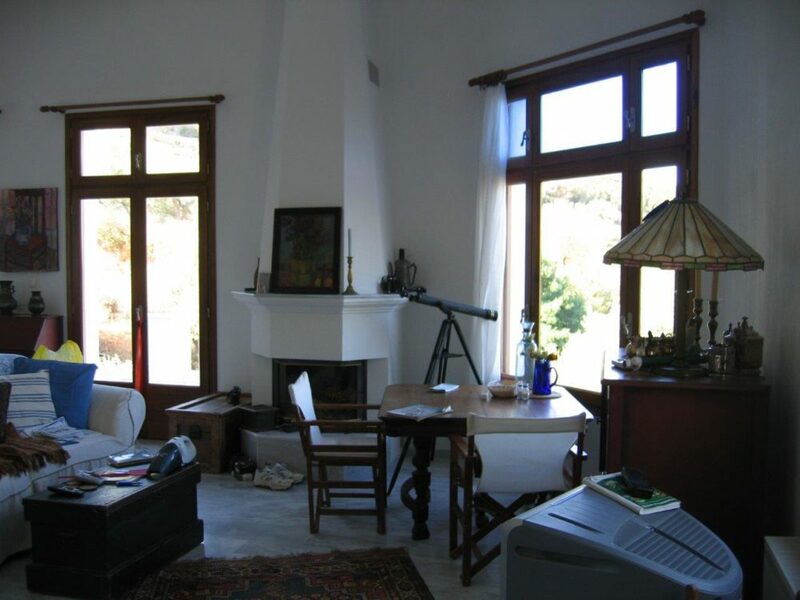 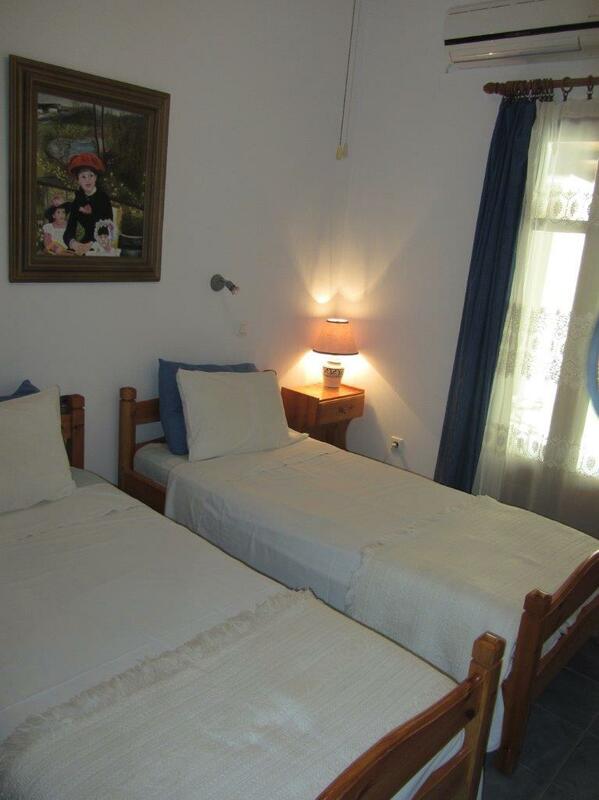 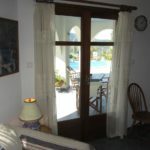 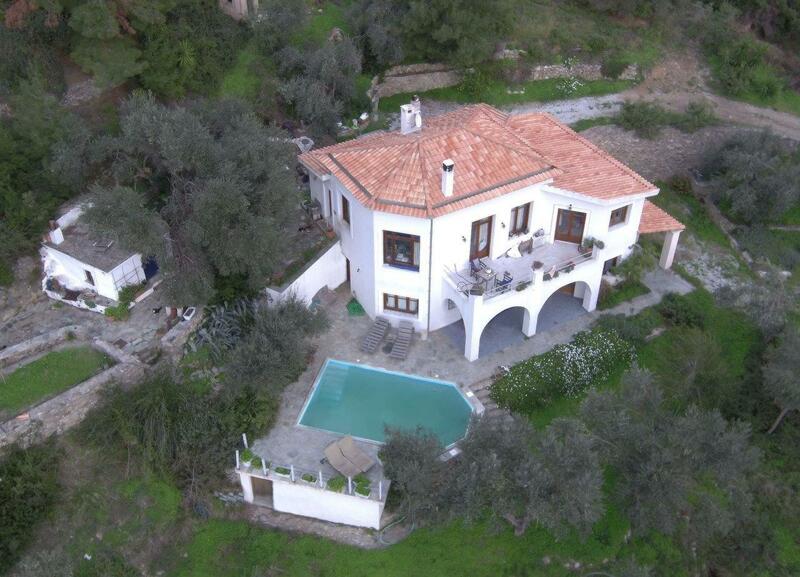 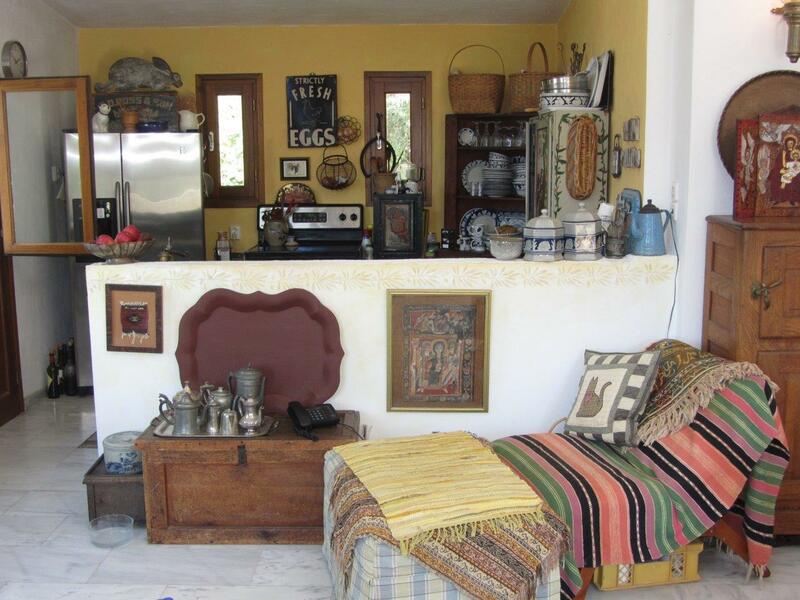 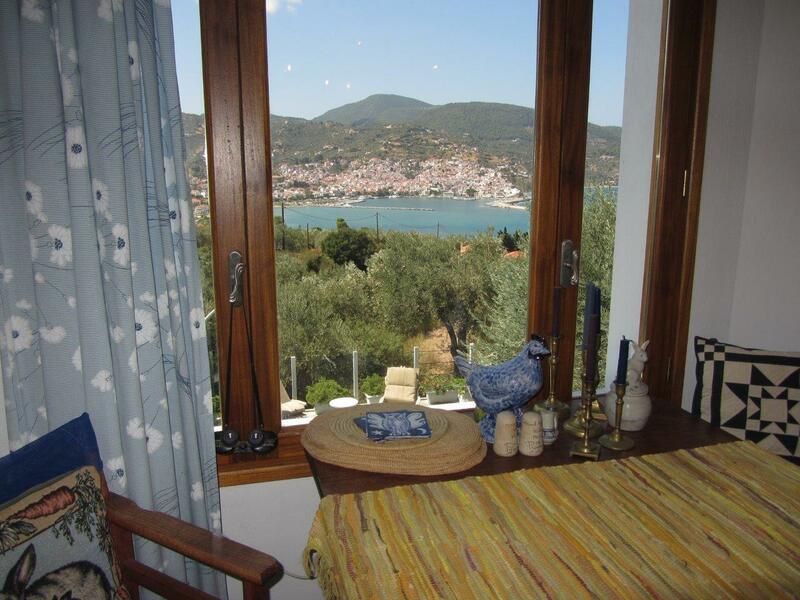 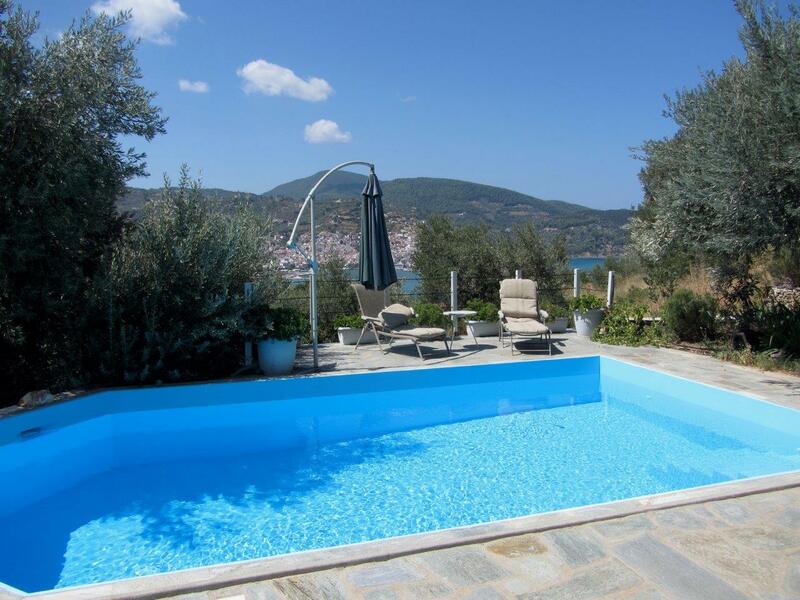 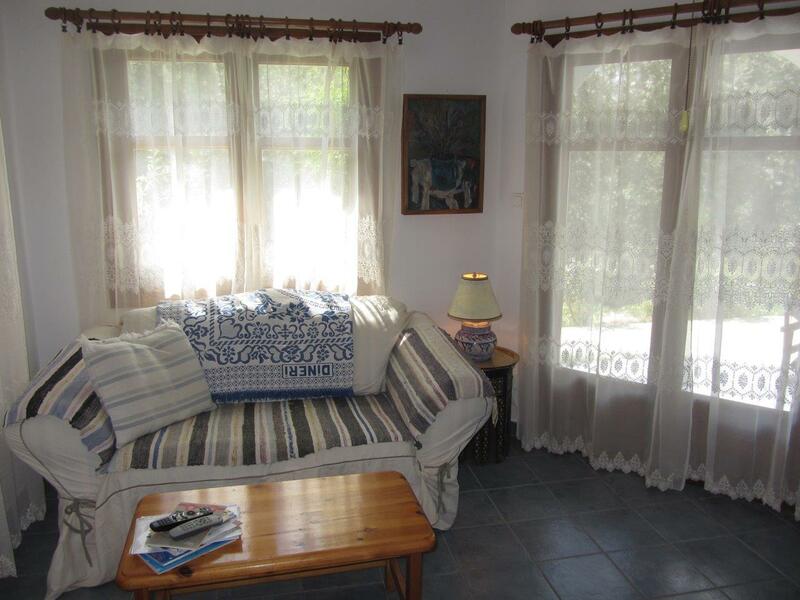 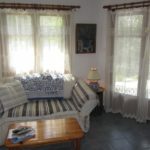 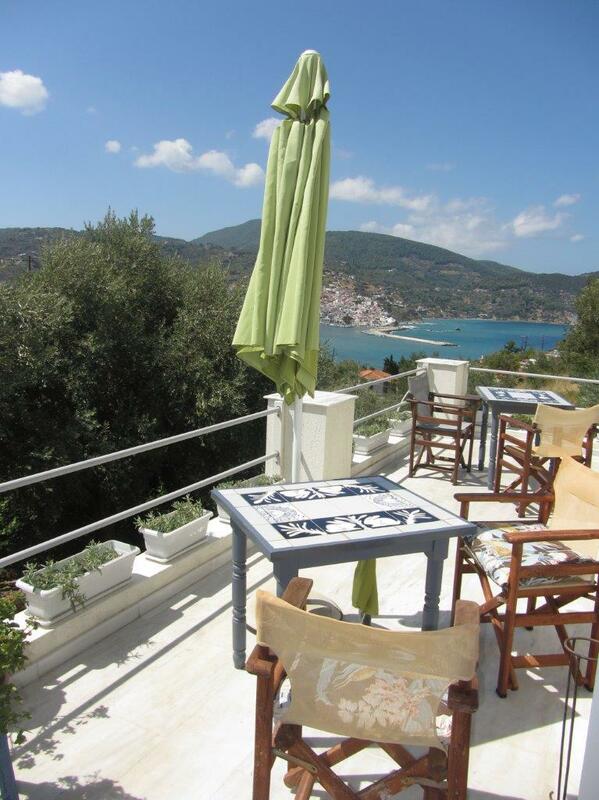 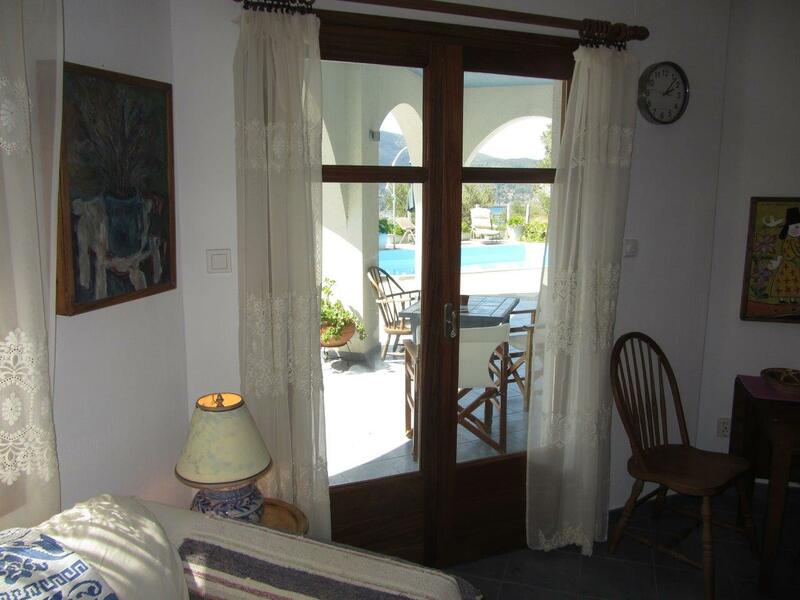 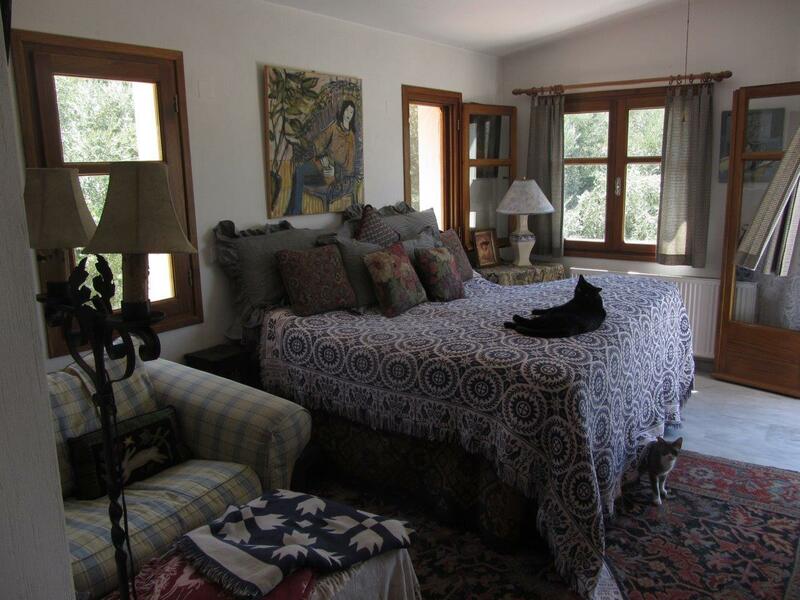 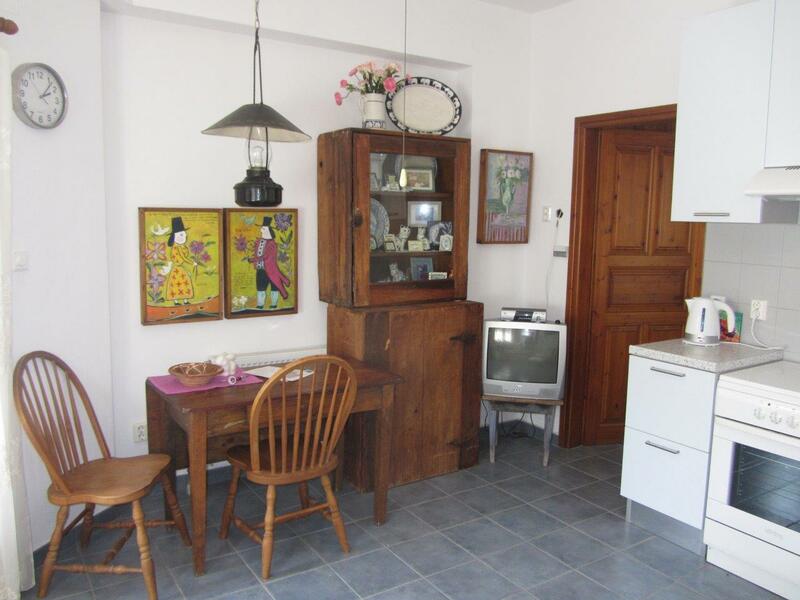 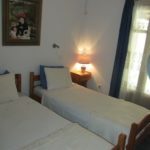 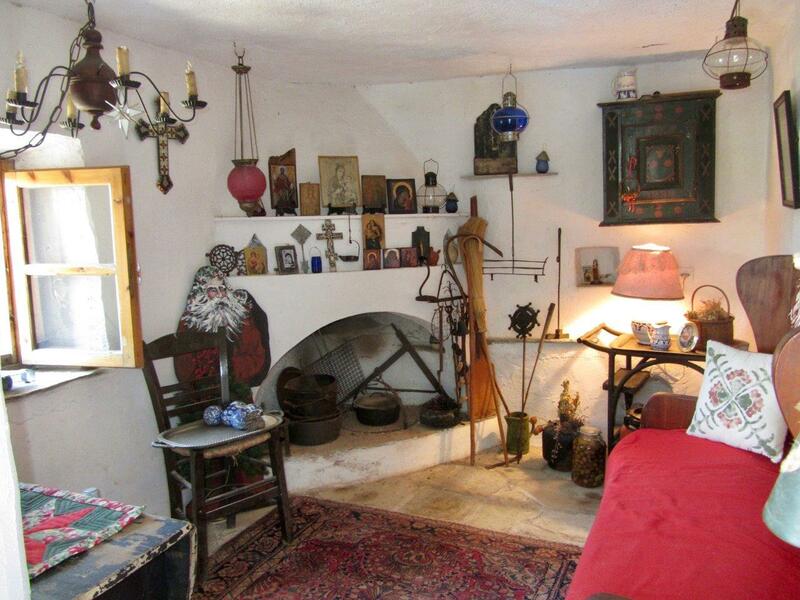 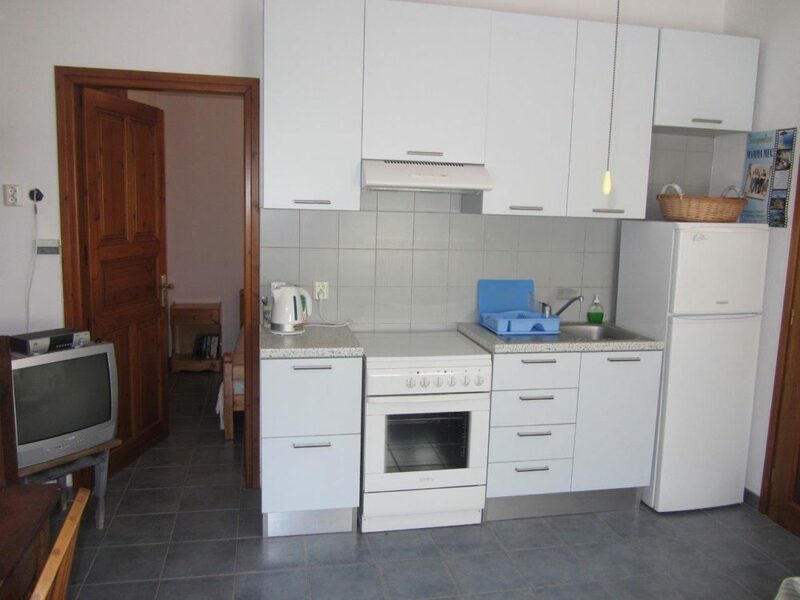 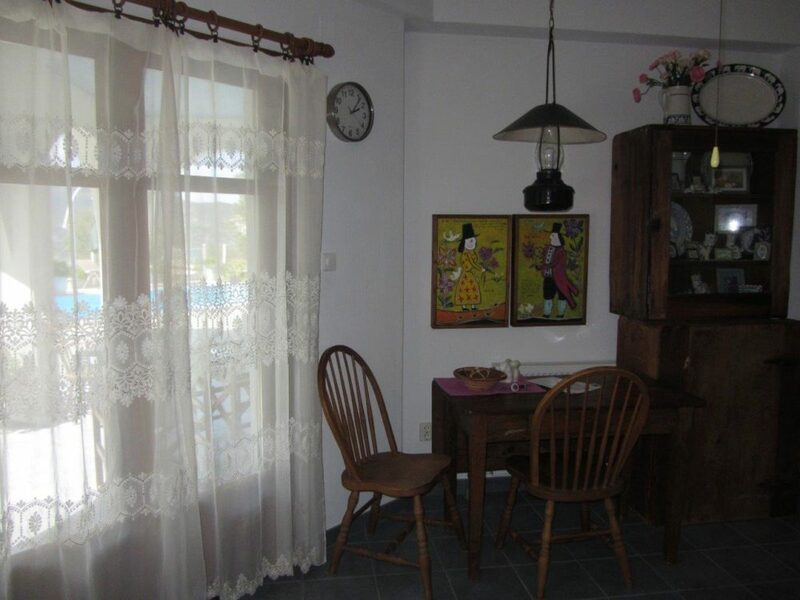 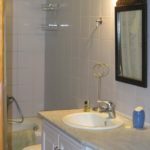 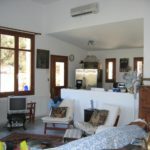 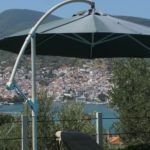 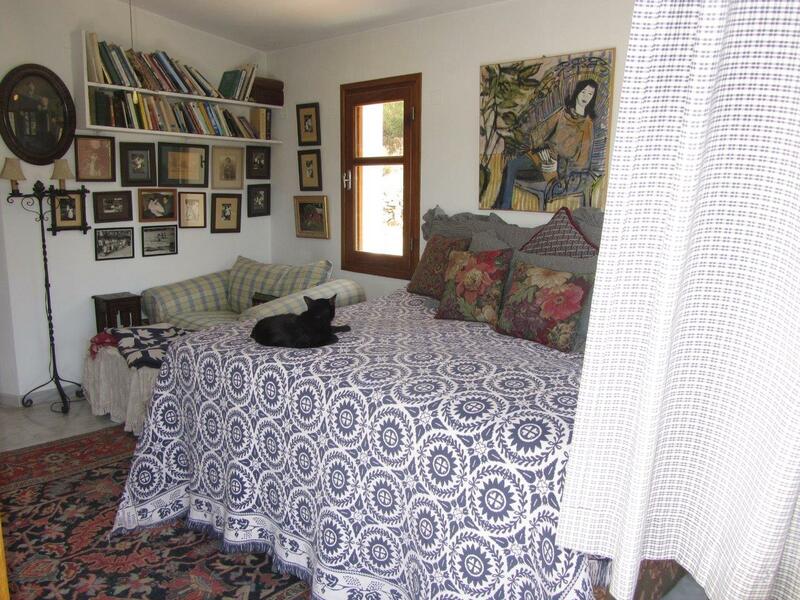 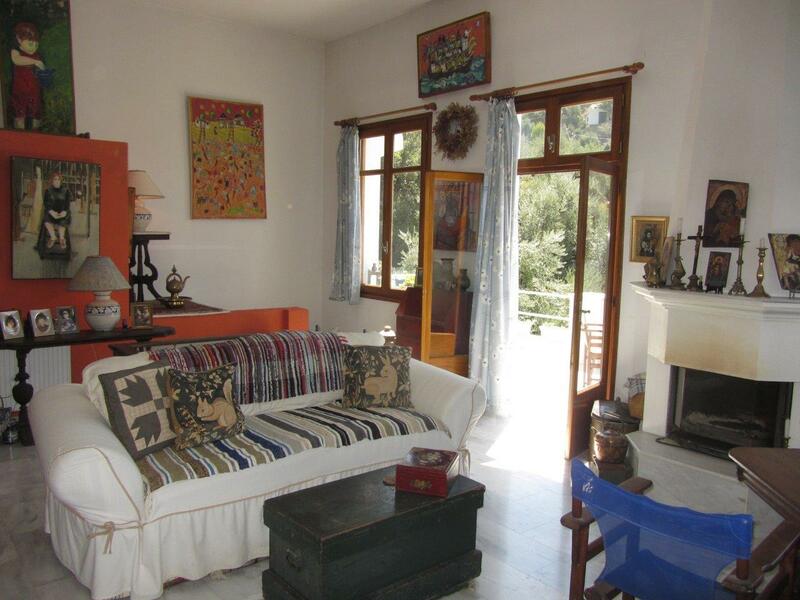 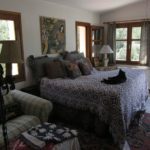 It has a small bedroom with a traditional old fireplace and a magnificent view over the port and town of Skopelos. 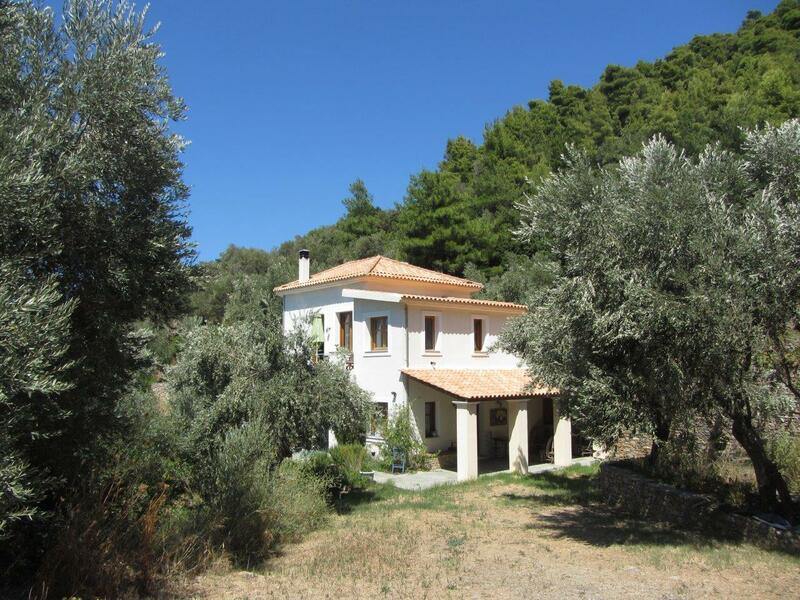 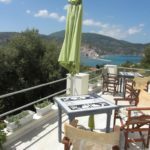 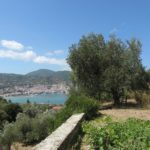 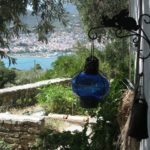 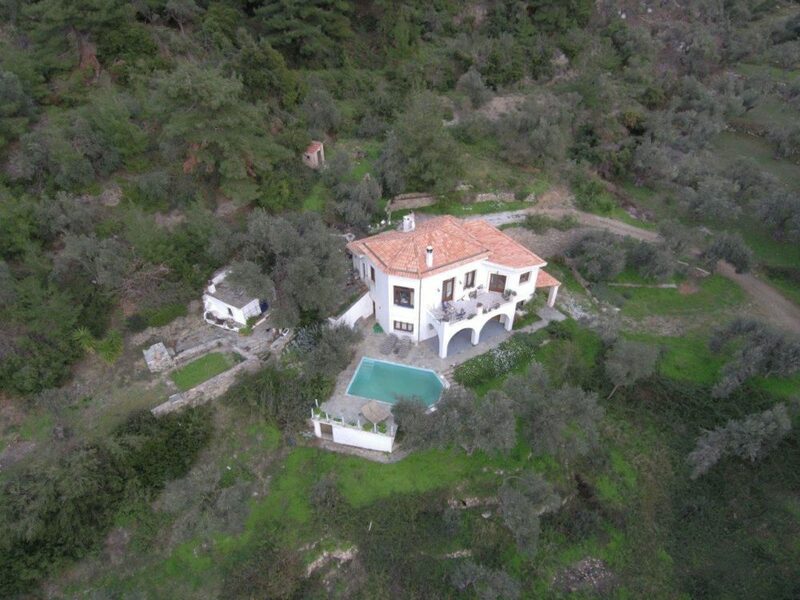 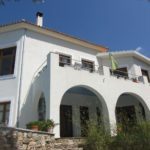 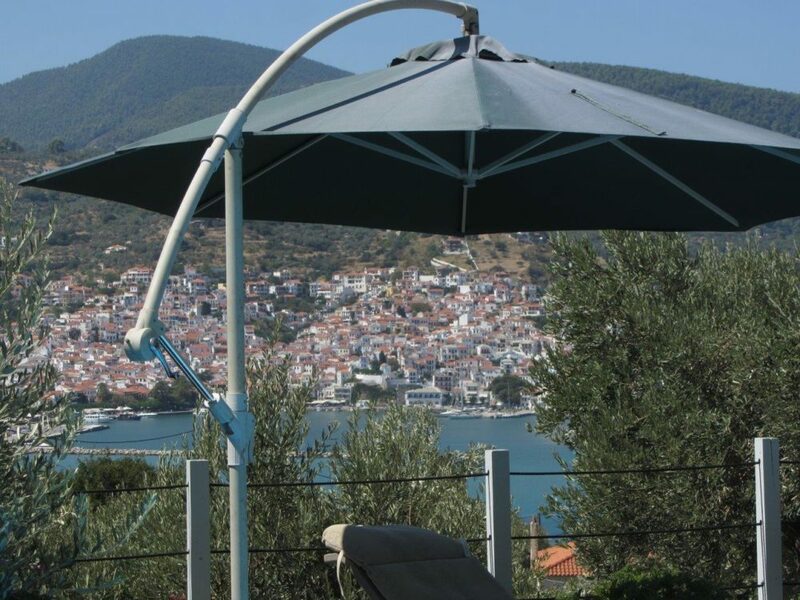 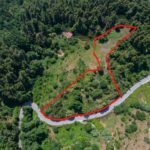 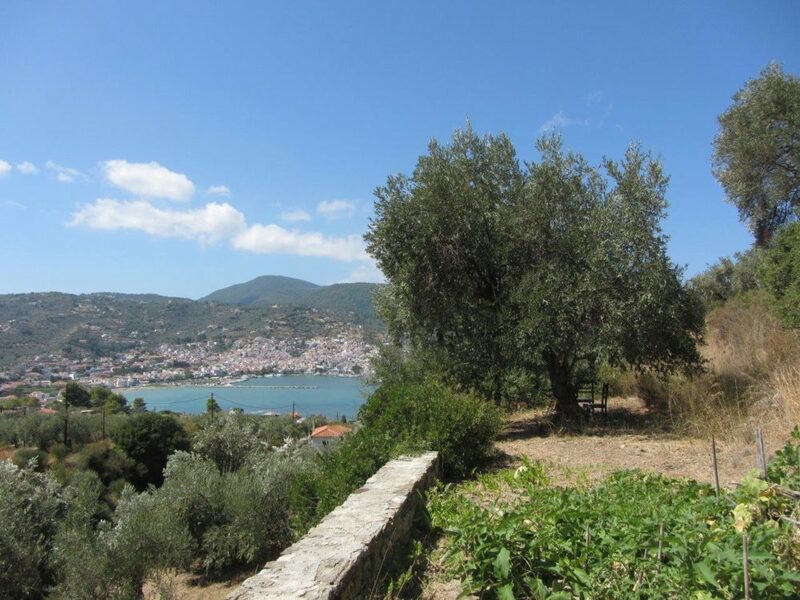 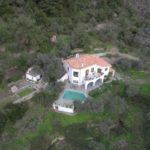 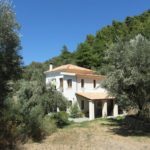 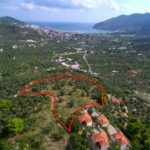 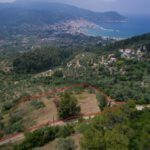 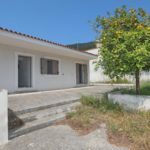 Both houses lie in a green, idyllic and peaceful location away from the the town of Skopelos, with magnificent views over the sea and the harbor. 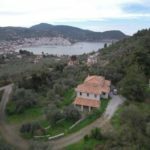 The villa lies only 15 min. 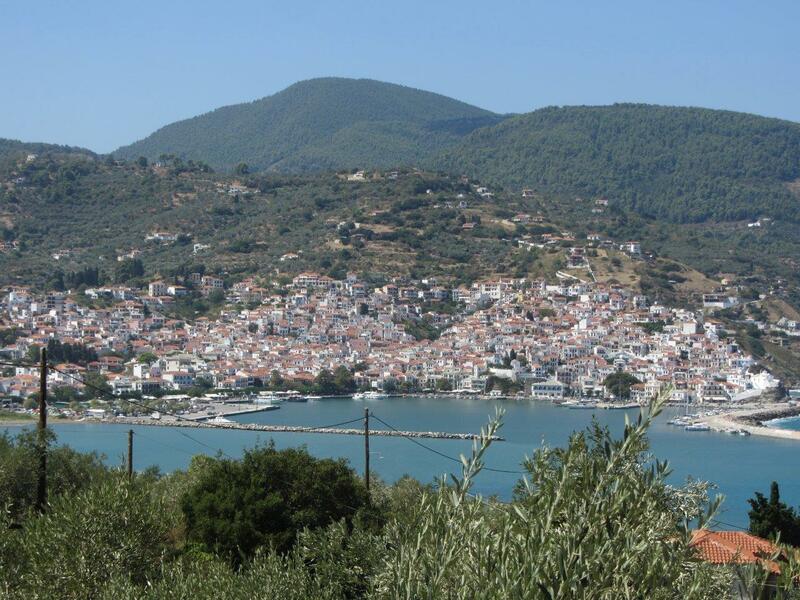 on foot, from the centre of Skopelos town. 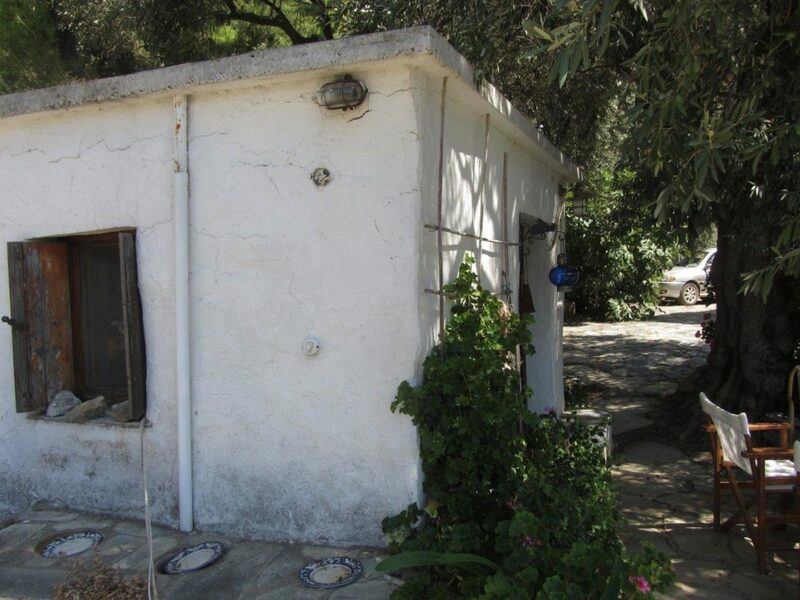 It has two floors: ground floor and a first floor. 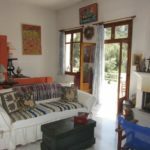 On the ground floor, there is separate and indepent flat with a WC, a bedroom with a bathroom, kitchen and living room with a private patio. 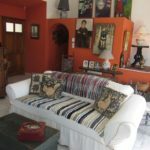 On the first floor there is a big living room with dining area, a bedroom with bathroom, jacuzi and WC, laudry room and a second bathroom. 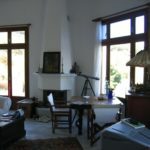 It should be noted that the living room has an energy efficient fireplace of wood. 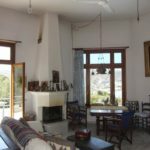 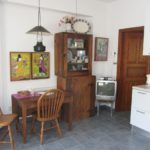 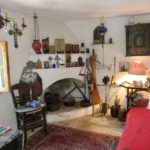 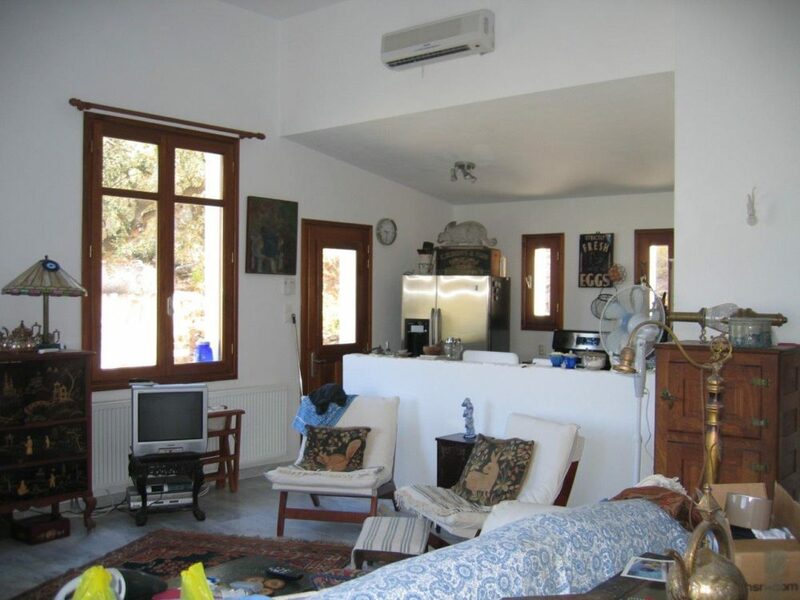 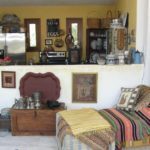 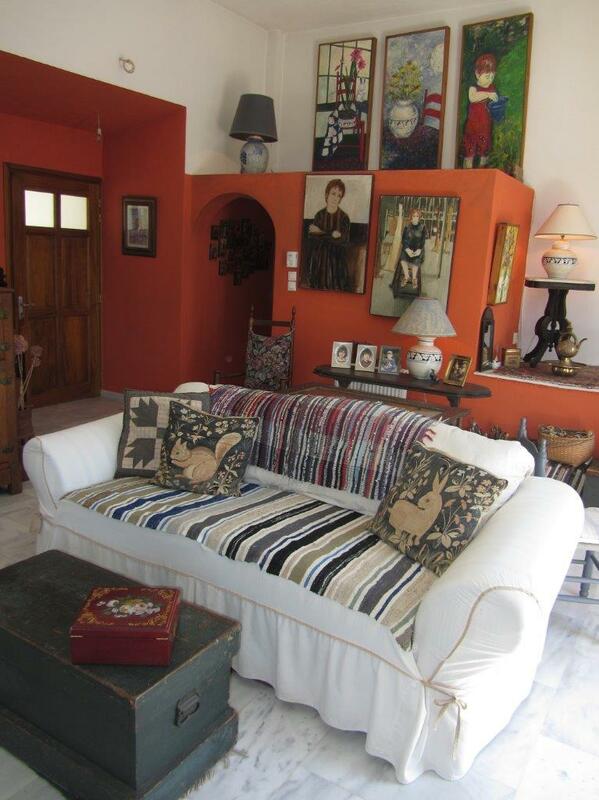 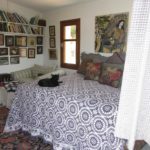 In addition to the fireplace, the house has central heating with mazout and double acceptance air conditioning (cooling – heating).In total, the house has 3 bedrooms, 3 bathrooms and 4 WC, 2 terraces and a big balcony with a view to the Aegean sea. 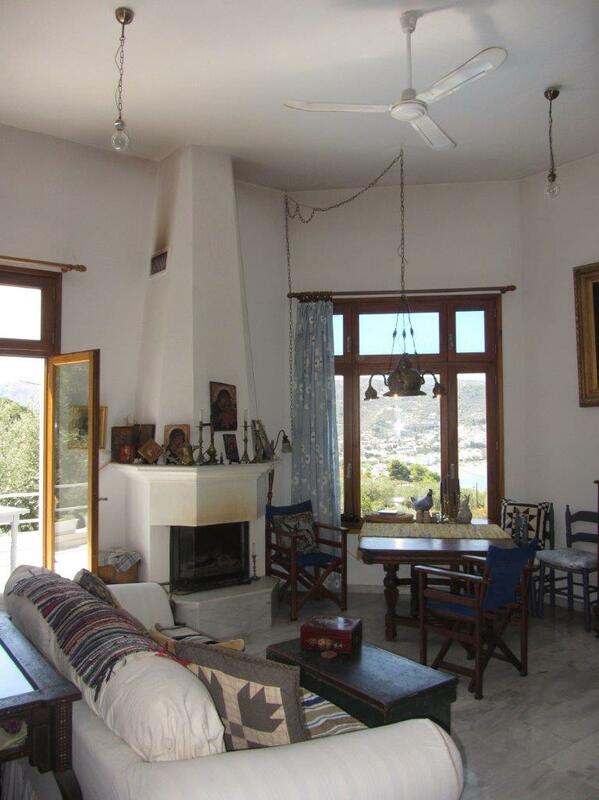 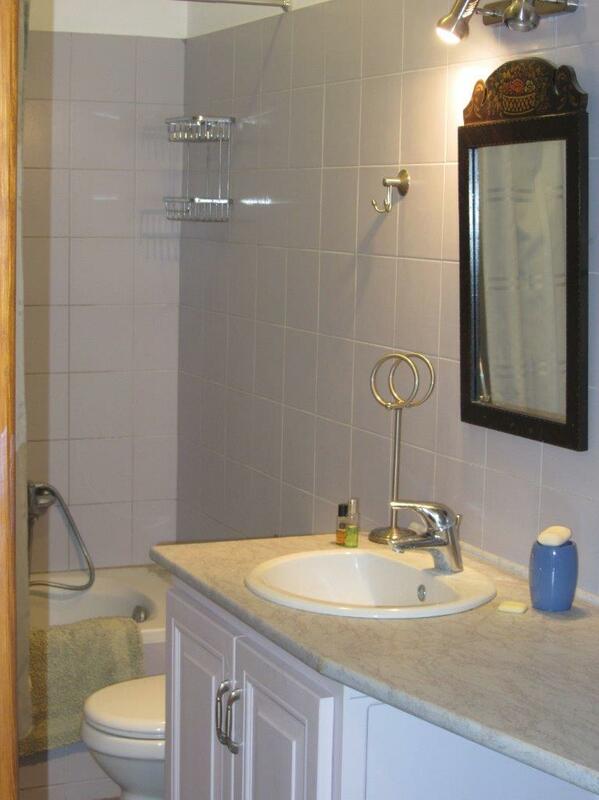 The house has been constructed with materials of excellent quality. 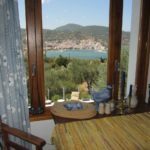 It has big openings (windows, balcony doors), which have high quality isolation and offer to the owners the possibility of a splendid view. 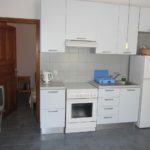 All home appliances (electric cook, washing machine, drying machine, dishwasher, fridge (General Electric) are new and modern. 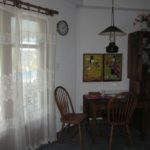 The floor of the first floor is made of marble.